John Muir, from Musselburgh in East Lothian, last spoke to his family on Thursday night. John Muir: He last spoke to his family on Thursday. 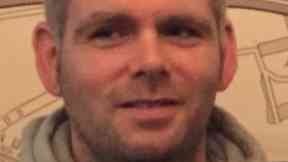 A search is being carried out to find a missing man. John Muir, from Musselburgh in East Lothian, last spoke to his family at 10.40pm on Thursday. The 33-year-old has not been seen or heard from since and concerns are growing. He is 6ft 2in, stocky and has dark hair. Mr Muir is likely to be wearing dark shoes, blue jeans and a dark hoodie with "Amsterdam" and an image of a bike on it.